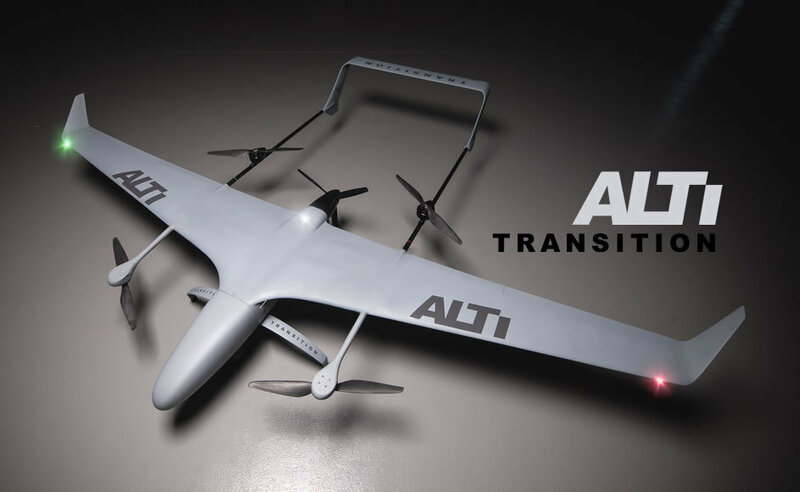 The Alti Transition is a VTOL. The key objective in the development of the ALTI Transition, and the core of the product was to offer a highly capable, long endurance, reliable and affordable civil use VTOL (vertical take-off and land) fixed wing aircraft, available to purchase with short lead times of only a few weeks and at an affordable price point when compared with similar aircraft usually only available to military clients. Designed for every day, all day operation in a wide variety of applications around the world, the Transition allows for take-off and landing just about anywhere, with an hourly operation cost of only $3.50, there really is nothing like it.